Take a photo (a selfie, group photo or anything, we don’t mind!) with MARIGOLD HL Low Fat Milk and upload it. Give us your coolest caption for the photo, fill in your details and share it on your timeline. Get your family and friends to vote for your photo to win! 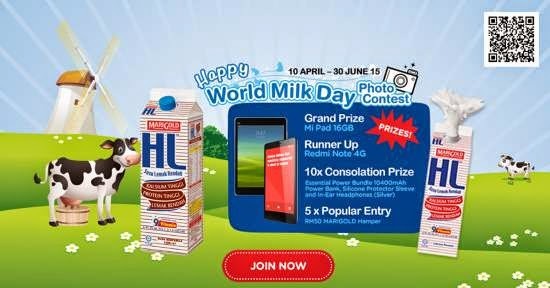 Visit Happy World Day Photo Contest page for more details.